Where do you go to find peace? Is Nature your go to place? Or, maybe, alone in your bedroom? Possibly at a temple, church, mosque or designated holy place? Do you find solace at a local park or a larger State Park? Wherever you can find the right space to feel safe and secure within yourself is the right place for you. If you practice daily, then eventually, you will be able to feel peace just about anywhere, because peace is mainly an inside job. Although, your environment does have an effect. 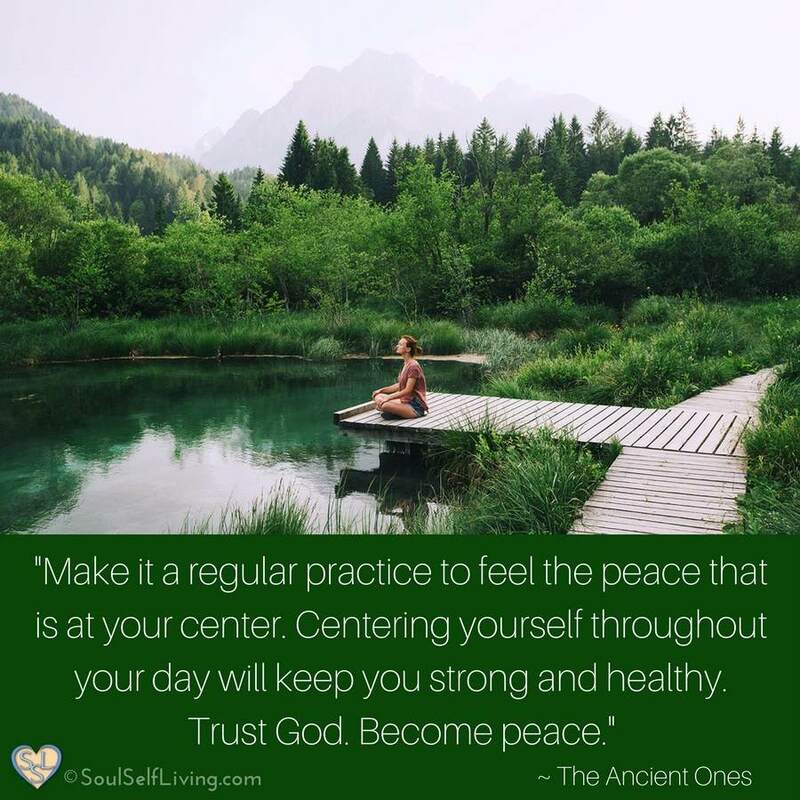 Make it a regular practice to feel the peace that is at your center. Centering yourself throughout your day will keep you strong and healthy. Trust God. Become peace.